There’s Lululemon. Athleta. Alo Yoga. Now, Denver has its own yoga and fitness apparel brand. 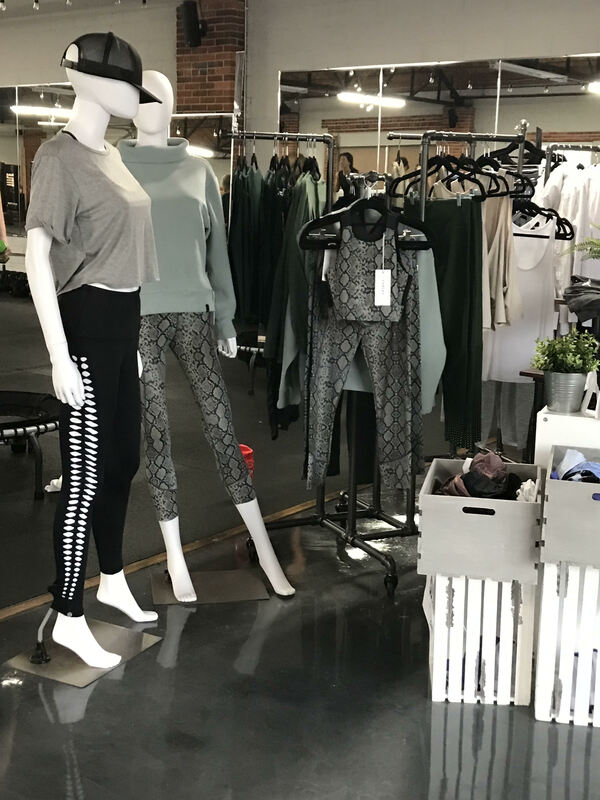 Denver-based fashion designer Carolina Way launched Beat Outdoor Gear in October, and since has started selling her yoga and fitness apparel in seven Colorado locations. But so far, Beat Outdoor Gear has been popular among Denver women, who praise the fit, according to Way. At a popup during the Rock ‘n’ Roll Denver Half Marathon last fall, Way said she sold 50 pairs of her leggings — ranging in price from $89 to $120 — in 2 1/2 hours. Originally from Venezuela, Way graduated from fashion and design schools in both that country and New York. She worked as a technical designer for Walmart and apparel company Land N Sea before making a transition to fitness wear in 2015, landing a job with Roka, a Boulder-based triathlon apparel company. Way moved to Boulder to help the brand launch its cycling, yoga and swimsuit apparel. When it came time to launch her own brand of clothing, Way knew she wanted it to be fitness-related. Beat Outdoor Gear sells yoga pants in colorful prints and cutouts. The startup also sells sports bras, yoga tops, jackets and other accessories, which are made in China, Taiwan and Pakistan. Beat Outdoor apparel is made from polyester and nylon blends that create an extra stretch in the fabric for running, yoga, high-intensity interval training and other fitness practices. So far, Way is selling her apparel online and in seven Colorado stores, including the Ritz at Beaver Creek, Hot Mamas, Compass Fitness and Axis Pilates. Way has funded Beat Outdoor through her personal savings. In the future, she plans to add more retailers and to expand her product line to include sunglasses for athletes. 4 Comments on "Venezuelan fashion designer launches fitness apparel brand in Denver"
Congratulations Carolina!! Looking forward to hearing more of your success!! Thank you so much Terry!